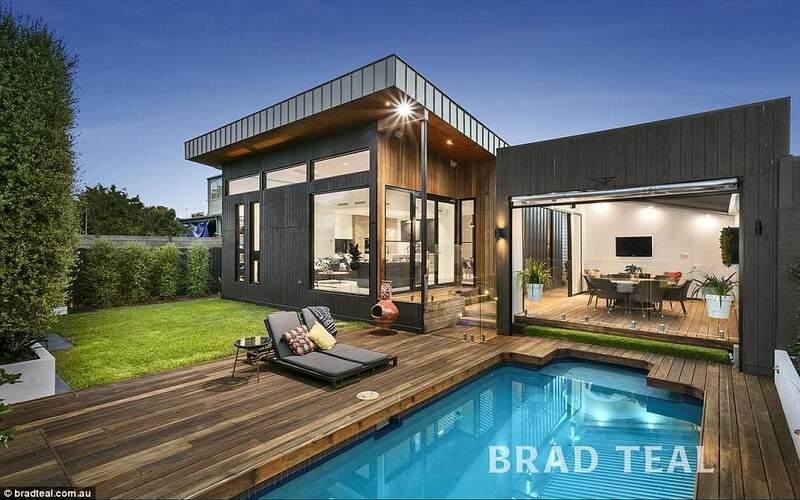 A Melbourne house is taking outdoor living to the next level with a hidden pool that appears with a press of a button. 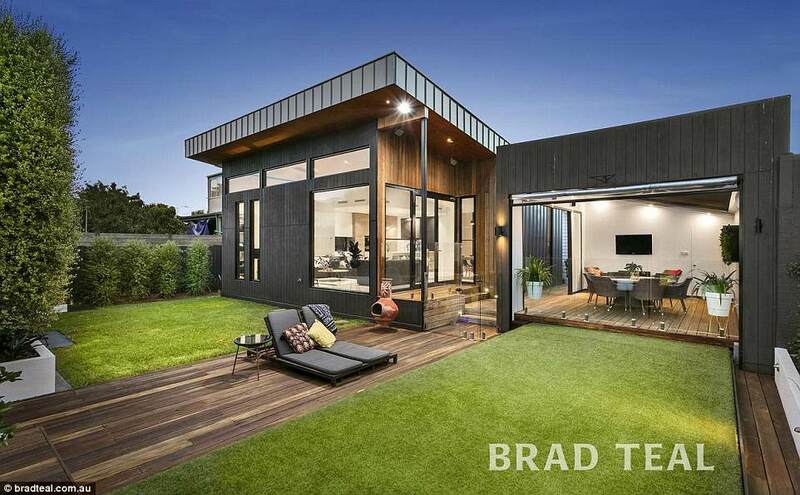 The Ascot Vale house, north-west of the CBD, has a stunning backyard equipped with a sliding grass covered platform. The intelligent design appears to double the backyard space at a touch of a button, making it ideal for entertaining. Now you see me now you don’t: The backyard can be transformed giving it two unique looks (pictured) for any occasion. 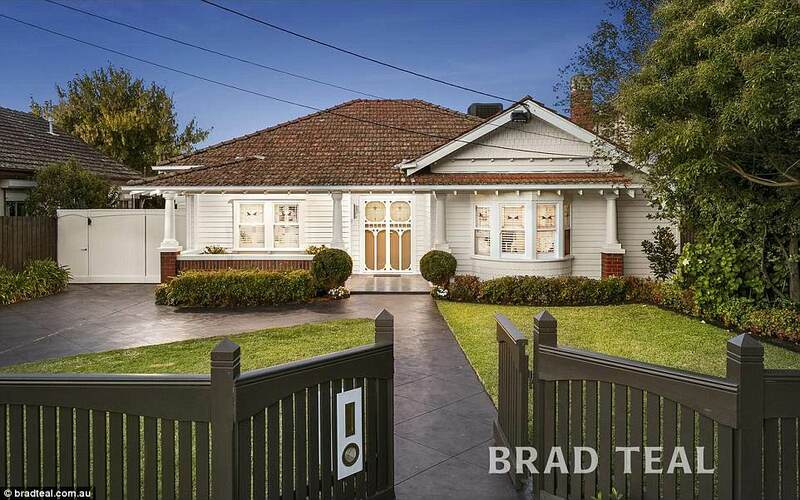 Home owners can relax by their solar heated pool one day then double their yard size by using the ‘motorised platform’ the next, realestate.com.au reported. The backyard is perfect for entertaining with an uncover deck area which looks out onto the tranquil pool, or luscious turf – depending on the occasion. At the front of the property, the quaint cottages opens up with grand ceilings up to four-metres high, hanging lights and polished black features. 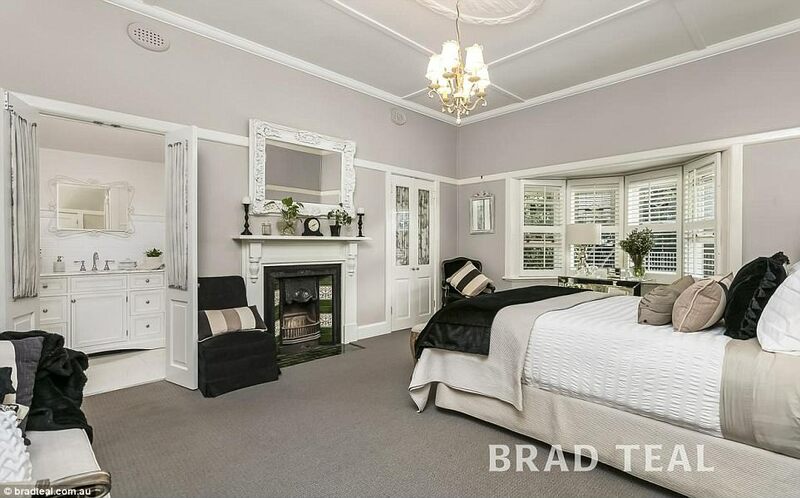 The four-bedroom, four-bathroom house also features a butler’s pantry for the cooking enthusiasts, marble and a luxurious fireplace in the bedroom. The crisp main bathroom appears to have a free standing bath, spacious shower and a double sink. 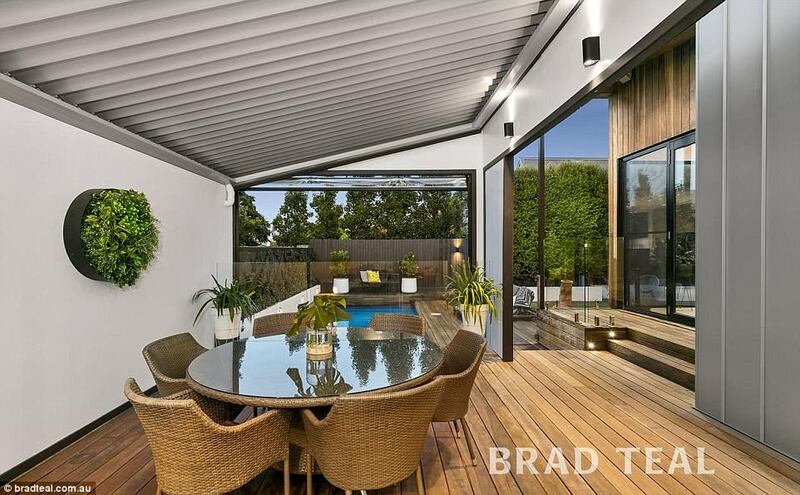 The backyard is perfect for entertaining with an uncover deck area (pictured) which looks out onto the tranquil pool, or luscious turf – depending on the occasion . 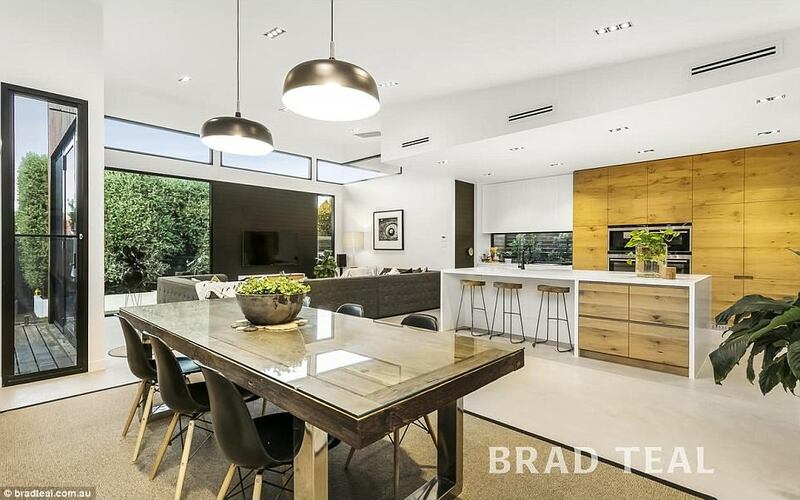 The four-bedroom (pictured), four-bathroom house, only a few kilometres from Melbourne Zoo, is on auction this weekend. This article was originally written by Emily Pidgeon and appeared here.